Upcycle: A refashioning treasure trove! 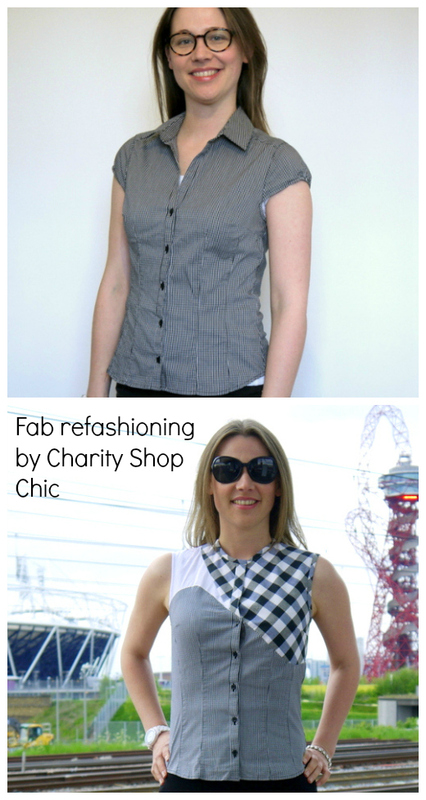 I just stumbled upon my new favorite refashioning blog - Charity Shop Chic! In the US, we call them thrift stores ... but I'd argue that they're not quite the same thing. Something just a little more "chic" about what you find in a British charity shop! Anyway, not only are CSC's runway and celebrity-inspired transformations breathtaking (this woman can sew!) but I love her goal: to buy only charity shop clothes then give them a second lease on life by resizing, refashioning etc. Oh, and she's currently a Refashion Runway contestant - fun competition being run by The Renegade Seamstress! 3. A Betty Draper inspired wonder made from sheets and pillow cases!